A soothing collection of Roses an delicately scented lilies are hand crafted into this stunning gift A simple colour choice makes this bouquet all the more special for every occassion and delivered in a gift box or bag containing water is so easy to accept and place in the home. Add your perconal message to complete ready for delivery in and around Hereford by Hillmans Florist. 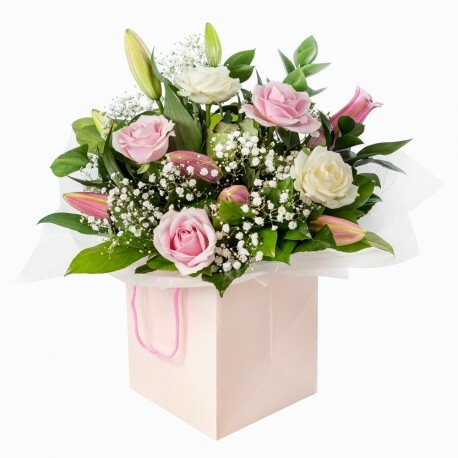 Make their heart melt with a fabolous surprise delivery.